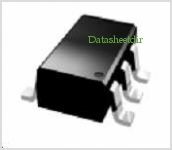 The AWS5518 is a Single Pole Double Throw (SPDT) GaAs MMIC Switch assembled in a SOT-26 plastic package. The AWS5518 is designed for applications that require low insertion loss, high isolation, high linearity, and small size. 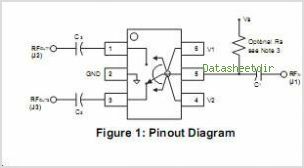 The Switch CAN be controlled with positive, negative, or a combination of both voltages. By Anadigics, Inc. This is one package pinout of AWS5518,If you need more pinouts please download AWS5518's pdf datasheet. This is one application circuit of AWS5518,If you need more circuits,please download AWS5518's pdf datasheet.